In concept form, of course. Next month at the Tokyo Motor Show, Subaru will unveil a new concept called the VIZIV Performance Concept. Why should you be excited? Because it’s a preview of the next-gen WRX. For now, only a pair of teaser images have been released with this description: "The model expresses the enjoyment of driving by adopting a sports sedan style based on Subaru’s shared design philosophy of 'Dynamic x Solid,' while realizing its future vision for safety with advanced driver-assist technology, centered on Subaru’s original EyeSight driver-assist system." Looking at the images, it’s clear this thing has muscular styling, complete with bold haunches and a front grille flanked by LEDs. Subaru, however, has a history of showing wicked-looking concepts only for the eventual production versions to have dramatically toned-down styling. Hopefully Subaru won’t disappoint everyone again, so let’s just keep our fingers crossed. And yes, that name, VIZIV, probably sounds familiar to you. Well, that’s because it’s been used before, for the electric 2014 VIZIV SUV Concept. 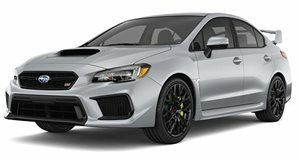 Relax though, as we highly doubt the next WRX and WRX STI will be electrified. We wouldn’t be surprised, however, to see Subaru add hybrid boost tech. That’d be cool. 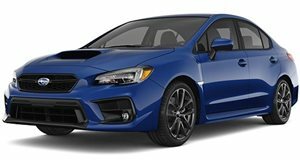 Given that the latest Impreza has been on sale for several months now, the WRX/WRX STI pair are due for a complete redesign, as both are still built on the previous generation Impreza platform. 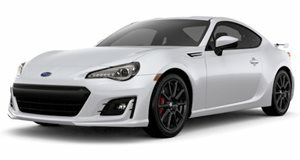 Subaru will also bring to Tokyo the BRZ STI Sport, pictured here. It’ll supposedly come with improved ride quality and handling stability thanks to improved body rigidity and re-tuned suspension. There’s also a number of exterior and interior touches. More details to come next month straight from Japan.